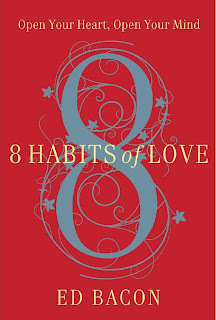 From the July issue of Saints Alive -- Ed Bacon invites us into the birth of his upcoming book: 8 Habits of Love. Somewhat to my surprise, I have written a book. The title is 8 Habits of Love, and in one way or another, you are all in it. Although the material for this book has come from many experiences on my life’s journey, I know that the final product would not have its scope and depth without my having spent more than 17 years at All Saints Church, living, working and growing with all of you. It started in the fall of 2008 when Oprah Winfrey needed to interview a person “of the cloth.” She had hosted Eckhart Tolle for a teaching series from his book A New Earth on her radio show, “Oprah’s Soul Series.” A number of people had challenged her that the material was too New Age and somehow un-Christian. I accepted an invitation from her office to talk this through with her in Chicago on a radio show. Later in the year as I participated on a three-person panel on her national television program, Ms. Winfrey pointed out that I was the only one of the three who hadn’t written a book. In a matter of months I had engaged a literary agent and a book coach and had a book contract. The All Saints community has been the crucible in which the concept for this book has evolved. Long interested in the dynamics of love and fear, I have noted that the most frequent injunction in scripture is, “Do not fear” and that Jesus said, “Perfect love casts out fear.” My sermons on living in the House of Love versus the House of Fear have generated the most response over the course of my preaching. I know the impact of love and fear on one’s brain, body, relationships, and systems. I know that all of us have our fears but when we become our fears life becomes distorted, we are less than who God created us to be, and we cannot become our authentic selves. So I’ve written a book about eight habits we can practice to keep fear from taking over the driver’s seat of our lives. On many levels, 8 Habits of Love is a description of the kind of life that invigorates our worship, work, affection, and play at All Saints. 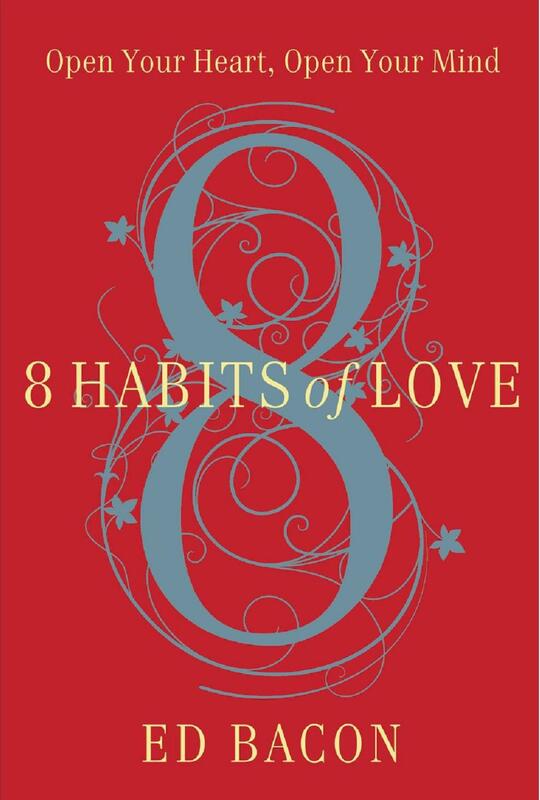 Exploring the eight habits of love takes us on an adventure of self-discovery. Writing about them has also been quite an adventure. With expert help from my agent and later my book coach I wrote the proposal for the book and then the book itself over the course of two years, including the sabbatical All Saints gave me last summer. Upon returning to All Saints last Homecoming Sunday, I turned the book over to a very gifted editor who gave the book its final shape. I have experienced these necessary ingredients for fruitful writing —a passionately held idea; a team of people who, with commitment and care, work and pray for a compelling product; time and solitude to plumb important depths of one’s own soul and relationships; editors, editors, and more editors, doing more and more editing; and, for me, a sympathetic life partner who both believes in the project and suffers no bull. The most potent ingredient in the recipe has been all the people who worship, support, and cheer the adventure called All Saints, Pasadena. Appropriately we will launch the book at All Saints on Sunday, September 9, prior to the publication in New York on September 11. Between now and then I will be on summer break, reading and preparing sermons for next year and having a family vacation. I will return a week early from my time away to preach that Sunday and to thank you all for making possible this wonderful adventure of producing a book, using all that I’ve learned from all of you and our journey together. All Saints Church @ Diocesan Dodger Night! It was a beautiful night for a ball game ... and All Saints Church was out in force to cheer on the Dodgers to a 7-6 victory over the Chicago White Sox AND our Bishop Mary Glasspool as she threw out the ceremonial "first pitch. Photo above is Bishop Mary with partner Becki Sander. And here's a look at the fun everybody else was having. Enjoy! Do you know that living in certain zip codes can be hazardous to your health? Do you know what could be done to change that reality? Dr. Eric Walsh is a student of issues relating to social justice. As he has sought to understand what social structures influence health and well being, he has come to see racism and structural violence as killers. 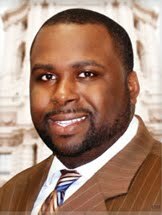 Since becoming Pasadena’s Director of Public Health in 2010, Walsh has put his energy toward public health practices and policies which increase individuals’ health and wellness in order that all people are able to thrive. In a multi-media presentation, he will invite us into the challenges in Pasadena. Walsh has served under the current and previous White House administrations on the Presidential Advisory Council on HIV/AIDS. He is the past President of the California Academy of Preventive Medicine and has served on committees with the Center for Disease Control, collaborating with many grass roots organizations in Southern California to improve the health of at-risk populations. He is on the staff of Loma Linda University School of Medicine and the University of California Irvine as an adjunct professor. On Sunday, June 17 we welcome Dr. Eric Walsh to the Rector’s Forum at 10:15 a.m -- and see where All Saints might become more involved with his efforts. (Or tune in via u-stream if you can't we with us on campus!